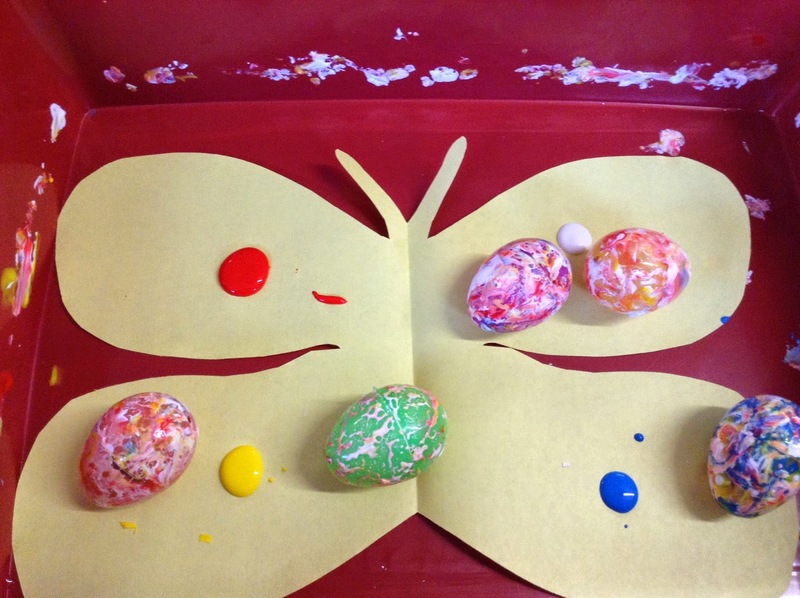 Here’s a great activity we did that can help children to engage with the New Life theme of Easter: butterflies painted with rolling eggs! I like the idea of rolling eggs symbolising the stone that rolled away from the tomb at Easter, so that was an added bonus that we could talk about to the children who came along. This was especially popular with boys- maybe something to do with the high activity level! You will need: A deep sided tray, plastic Easter eggs (that you can put something inside! 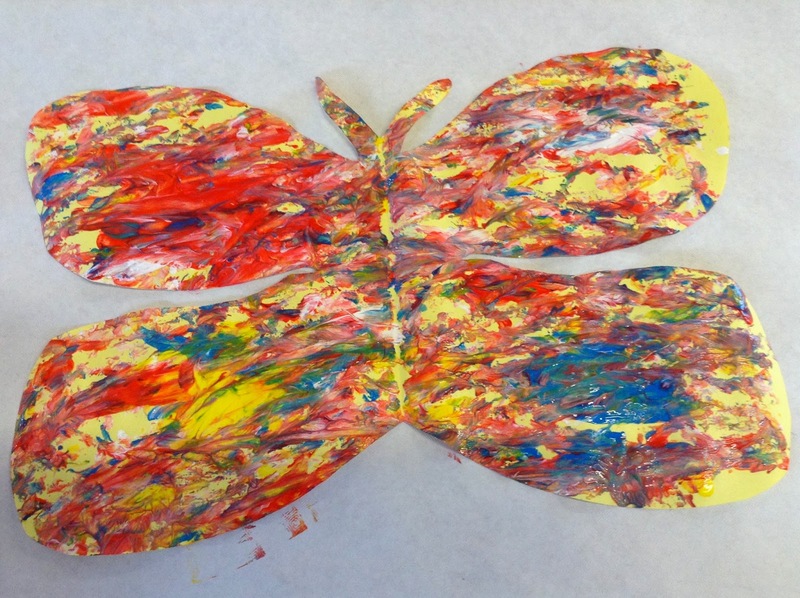 ), marbles, paint, paper butterfly shapes. 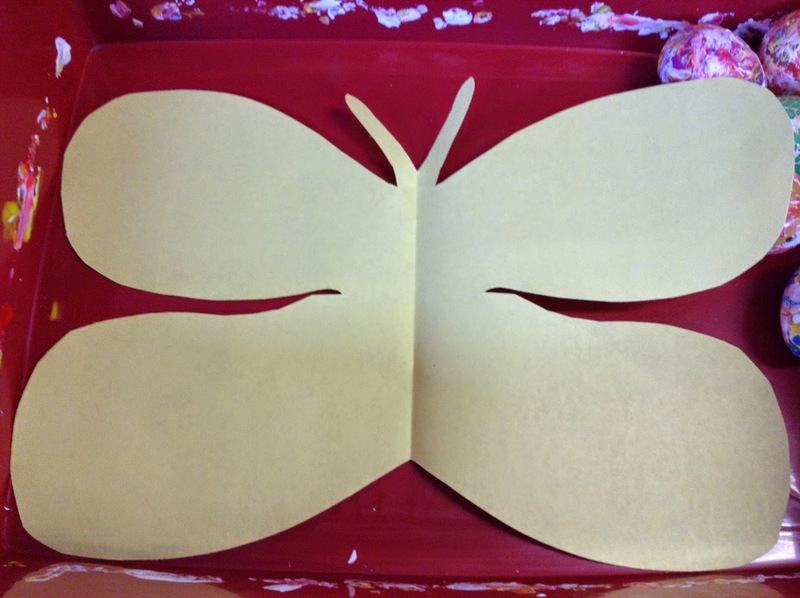 Place your paper shape inside the tray. Put a marble inside each egg you are going to use to paint with. This will give it a little more weight. Add a few spots of paint to the paper (less really is more in this case!). Now shake the tray from side to side so that the eggs roll across the paint and decorate the paper. Try to wipe the eggs between paintings. 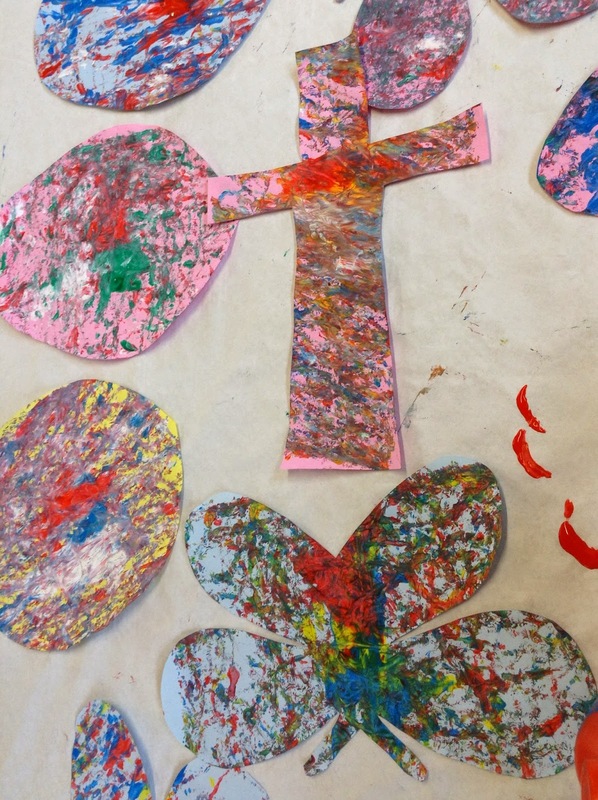 We also tried some crosses and egg shapes so that we could maintain the ‘New Life’ theme and also speak about Good Friday and the cross leading to a new start for Christians.